As well as these branch awards we also presented awards for CAMRA’s Champion Beer of East Anglia competition to some of our local brewers. Milton Brewery won Gold in the old ale category for Medusa, Gold in the stout category for Nero, Silver in the Best Bitter category for Sparta and Silver in the strong bitter category for Cyclops. Moonshine Brewery won Silver in the speciality category for Chocolate Orange Stout. 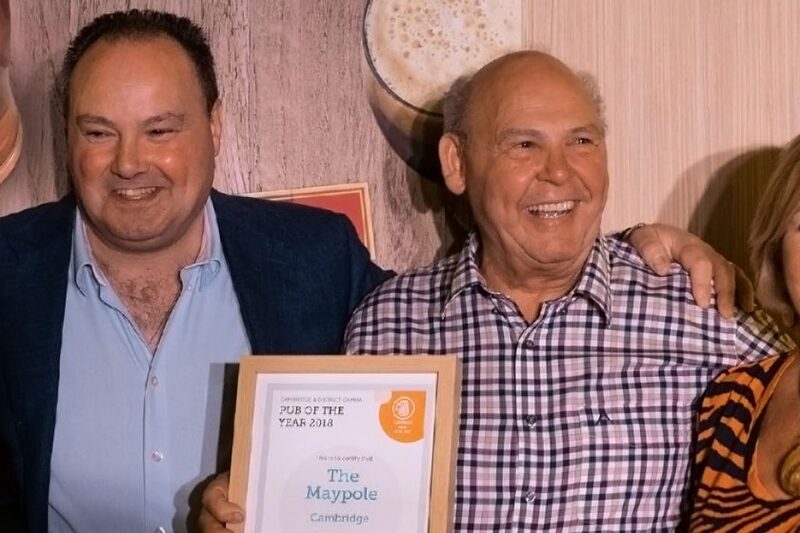 And Cambridge Brewing Company won Silver in the porter category for Night Porter.